Easily Manage and Maintain your Sign Inventory & Sign Work. 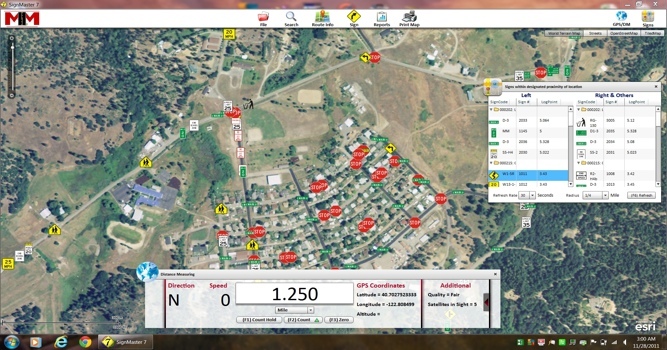 has performed over 73,000 miles of the No-Passing Zone study and offers GIS integration. of Ball Bank (Curve) Inventory and offers GIS Integration. focused on helping government highway and engineering departments with the maintenance and management of traffic safety signs, guardrail and pavement markings. Learn more about Mastermind Systems, Inc.
For 25 years, MasterMind® Systems has been performing Traffic Safety Surveys and GIS services for Agencies across the country. MasterMind® offers many survey options including the No-Passing (Safe Passing) Zone and Sign Inventory Surveys. MasterMind® Systems software packages help you easily manage and maintain your traffic safety data. Learn more about what our software can do for you!